on inner Light & Sound. The Sant Mat meditation on the inner Light and inner Sound, Surat Shabd Yoga, reconnects us with our higher self. Inner light and inner sound are different forms of the same energy. In a never ending stream this energy or power is coming down from the highest Source. It is unchangeable and permanent in its nature and qualities, but unfortunately we have lost contact with it. This energy created all the universes including man. 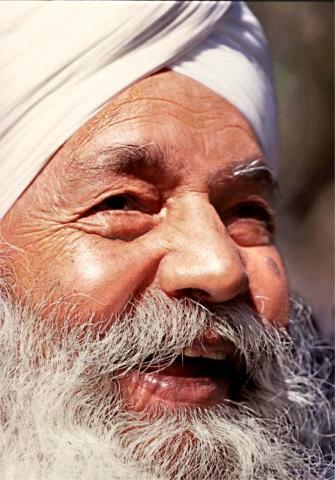 When directly reconnected with it by a Sant Mat Master like Sant Thakar Singh, we rise in consciousness until we again reach our original source. We then enjoy all the love, peace, wisdom and contentment of which the scriptures speak. As we develop in this spiritual connection of inner Light and inner Sound we begin to change and the world around us also begins to change and improve. We then begin to enjoy a life without fear, one of true love and lasting satisfaction. Sant Mat meditation on inner Light and inner Sound simply means single-pointed attention on inner light and sound. If our attention is focused on the world we will naturally develop in this way. "As you think so you become". However, if out attention is focused daily for some time in meditation on the holy inner Light and Sound, we then automatically assimilate its qualities which are the same as God: all love, knowledge, and peace. The Sant Mat meditation of the inner Light and inner Sound, Surat Shabd Yoga, is available to everyone, regardless of occupation, religion or social status. We may remain in whatever religion or culture we were born and learn this as a verifiable science. This meditation is offered free of charge as a service to humanity. 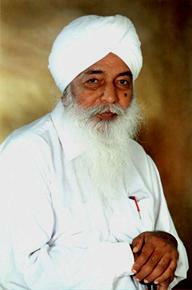 After one receives connection with the inner Light and inner Sound through the competent living Master of Sant Mat or one of his authorized representatives, no further instruction is required and one may go on developing independently.